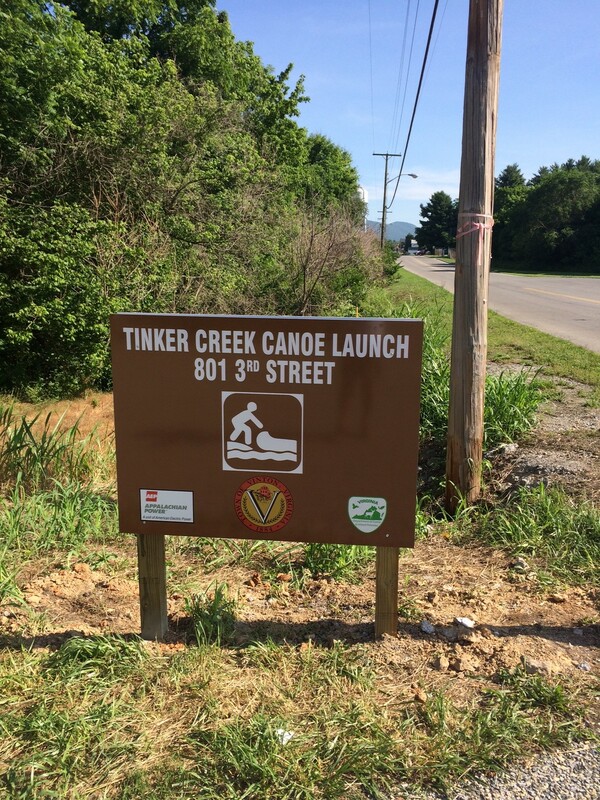 The Tinker Creek Canoe Launch is located at 801 3rd Street, Vinton, across from the Vinton Public Works Department. It is open year-round from sunrise to sunset, weather and water conditions permitting. Small watercraft only, such as canoes and kayaks. Obey all state boating regulations. Use at your own risk, assuming all liability. Use only when water conditions are safe. Put in and take out only in designated areas. Stay off private properties. No swimming, wading, fishing at the launch site. Special thanks to our partners in this project: Virginia Department of Game and Inland Fisheries, Appalachian Power, and Eagle Scout candidate, Jack Cranwell. Without the support of our partners, this project would not have been possible.